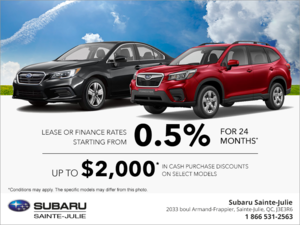 Home > Special Offers > Sales > Win a $500 SAIL gift certificate! 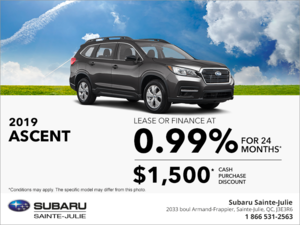 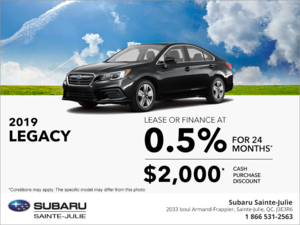 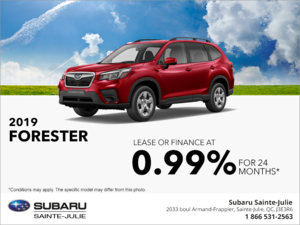 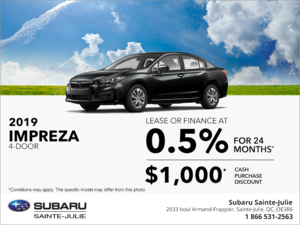 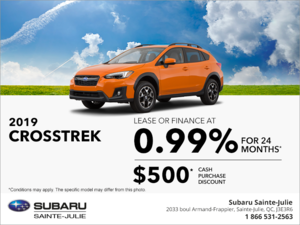 At Subaru Sainte-Julie, our sales event gives you the chance to win big! 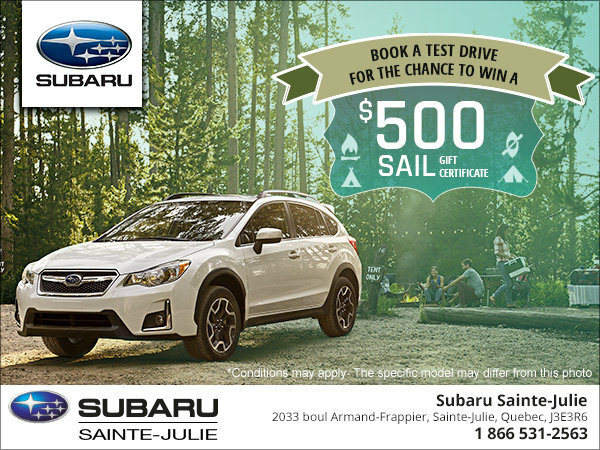 When you book a test drive, you have the chance to win a $500 gift certificate at SAIL, Canada's biggest destination for outdoor equipment! 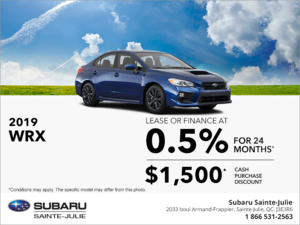 Act fast, though -- this offer is valid for a limited time only!